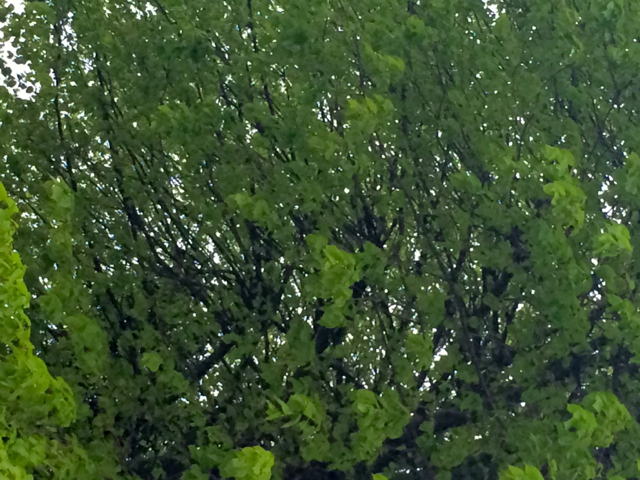 I do have a favourite colour and it’s this: the raw lime green of unfurling new leaves. This was an Easter weekend filled with bad and sad news but it’s impossible not to feel serene and hopeful when you open the door and look out at a corridor of springtime green and white blossom. Although even as I type that I do feel slightly anxious that the friend who got onto a bit of a ranty loop about “Smugbook” and over-cheery social media on Saturday night and had to have her phone confiscated before she made any more insulting posts (well she was entitled, she’d had a hell of a day) might soon be rolling her eyeballs and smashing out an angry comment. Whatever, we’re not doing a ‘wine to pour while you’re waiting for the paramedics post,’ here. Instead, this is a white wine that gives me the same uplift as those spring leaves. Yes, it’s a mouthful. No, I can’t say it. But I can break it down. 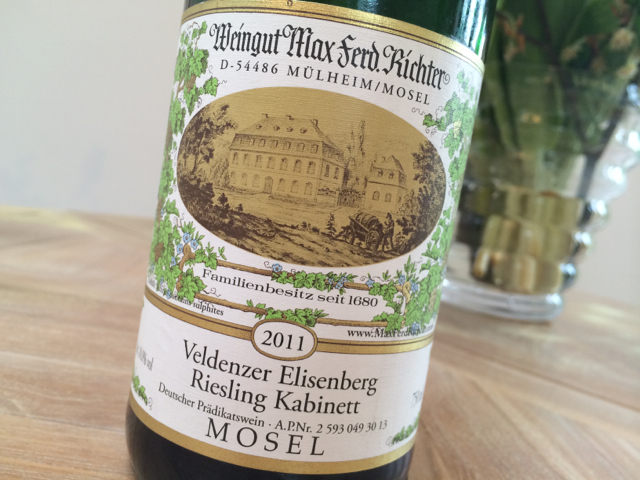 Kabinett: A German style I think of as a tonic. Medium-dry – the sweetness is comparable to stewed apple sweetness. Mosel: The area, all vertiginous slate and quartz slopes. The wine in general: Has perfect tuning fork pitch. It’s succulent, complex, mouth-watering, tingly. A superb example of its style, and with only 10% abv it’s gentle too. I drank it with a household staple, Nigel Slater’s lemongrass and lime chicken (it’s in Real Food). The mild sweetness in the riesling dovetailed with the chilli in the dish and the lime notes in the wine played with all its citrus flavours. Now I urgently want some more.